5/ Venture capitalists “spend a lot of time talking about markets and technology…. and we have lots of opinions. …but the decision should be around people…. 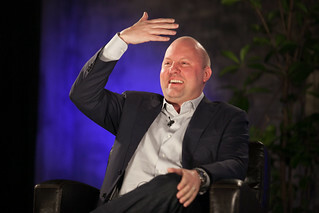 about 90% of the decision [is people].”… “We are looking for a magic combination of courage and genius .… Courage [“not giving up in the face of adversity”] is the one people can learn.” When you have a team of strong people in a startup, their ability to adapt and innovate gives the company and the investors optionality. Weak teams which can’t adapt to changing environments usually fail. Identifying the right people is all about pattern recognition. 11/ “You spend most of your time actually dealing with your companies who are struggling and trying to help them. Because it’s the companies that are struggling or failing that actually need the most help. The companies that are succeeding are generally doing just fine without you. The companies that are failing are really the ones that need help and support. And so a lot of what you end up doing at the job is supporting struggling entrepreneurs. It’s kind of continuously humbling. You are a trouble shooter. There’s always something going wrong. Psychologically–we talk about this with our partners–you have to be psychologically prepared for the opposite. It seems like it’s going to be a life of glamor and excitement. It’s more of a life of struggle and misery. And if you are okay with that–because it’s part of the package–then the overall deal is pretty good.” Bill Gurley likes to say that venture capital “is a service business”. Venture capital isn’t sitting in expensive chairs “picking winners” and speaking at conferences, but rather day in and day out work in the trenches helping entrepreneurs succeed. An effective VC spends time on things like trying to recruit engineers for portfolio companies. This is not glamorous work for a venture capitalist, but it is essential work. The above two more or less outlines the strategy for the venture fund that I am putting together. I think it works, I have enough data points to show that I have walked the path to see this through. The trick in this is to be humble and be open minded about what you don’t know. So if you have the courage, genius and doing something with Software on top of networks please email me. I would love to meet and learn.